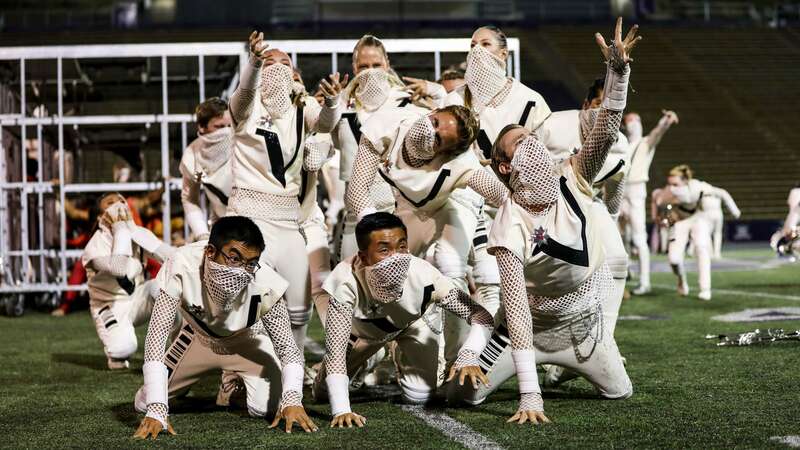 OGDEN, Utah — Santa Clara Vanguard rolled out of Utah Wednesday night as the first corps to break 85 points in 2018, topping a field of nine others at Corps Encore for its sixth consecutive first-place finish. While earning high marks in all captions, Vanguard (1st, 86.250) shattered the 85-point threshold six days earlier than it did a year ago. The Blue Knights (2nd, 78.925) stepped up by just over 1.5 points from their Tuesday night score in Boise. 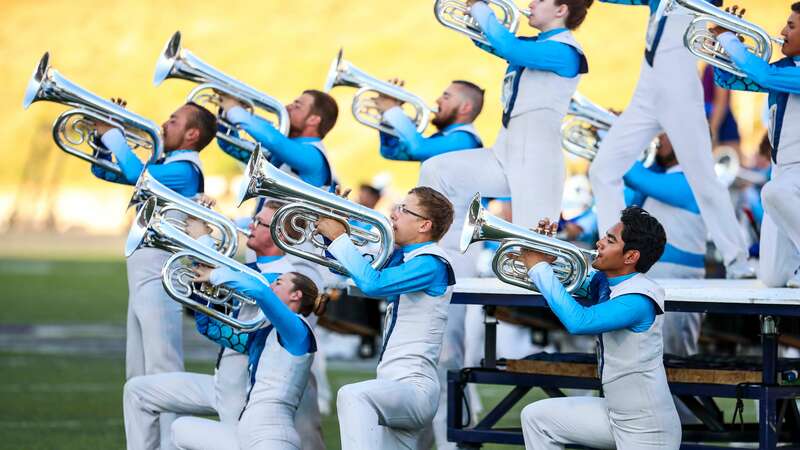 The Blue Knights once again held The Academy (3rd, 76.500) at arm’s length, although the Arizona corps was able to close the gap which stood at 3.3 points in Boise. View all scores from Ogden, Utah. Troopers (4th, 73.800) continued making waves competitively, building upon an impressive last several days. Since the start of the season, the Casper corps has built its lead over Pacific Crest (5th, 67.750) by more than five full points; its advantage had been less than a point in the two corps’ first meeting in Oceanside. Even so, the southern California corps improved upon what has been a fluctuating lead over Oregon Crusaders (6th, 66.000). At Wednesday’s event, Pacific Crest’s advantage grew from Tuesday night’s one-point spread. The Seattle Cascades (7th, 63.000) rounded out the World Class standings in just its fifth competitive performance of the summer. After having started later than most World Class organizations, drum major Nick Novy feels like his corps is in a great spot heading into the heart of the 2018 season. In the Open Class division, The Battalion (1st, 58.750) capitalized upon its near two-point win Tuesday in Boise with a comparable margin of victory, defeating the Columbians (2nd, 57.950) for the third time in four meetings. 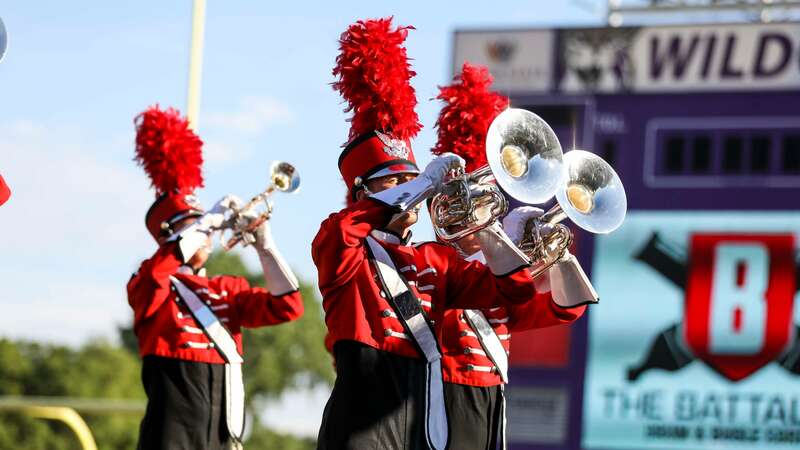 According to Battalion drum major Andy Blomfelt, the Salt Lake City, Utah corps was fueled by a friendly hometown audience. “Oh my gosh, this crowd is always so electric, and it gets me so fired up,” Blomfelt said. “It’s so much fun to perform in a stadium like this, with a crowd this size, the group really responds well to that, and I think they delivered because of it." Despite finishing just behind its familiar competitor, the Columbians wrapped up their season in Ogden on a high note with its own all-time record score of 57.950, breaking the previous individual record of 57.700. The Tri Cities, Washington corps also defeated The Battalion in color guard. View photos from Ogden, Utah. View the complete 2018 DCI Tour schedule.